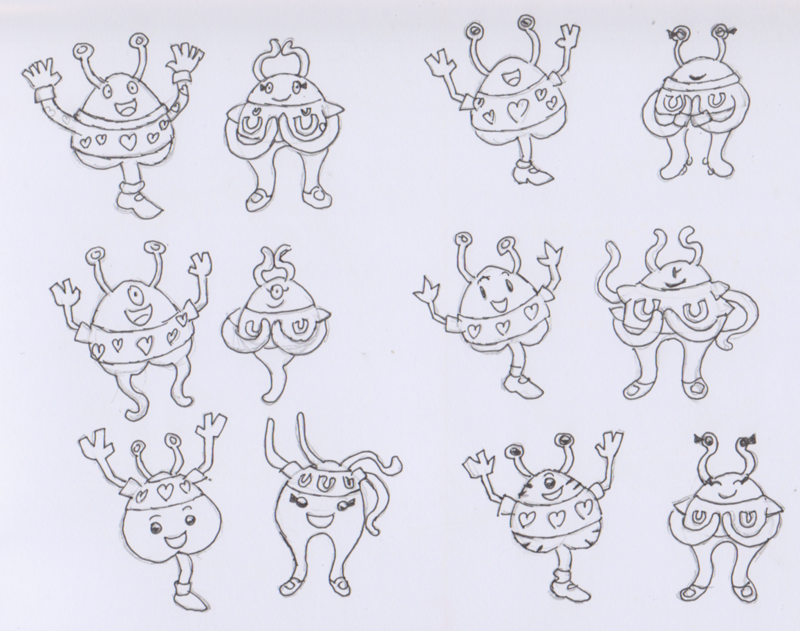 I was eager to design the two main alien characters as their names seemed a basis for their designs. 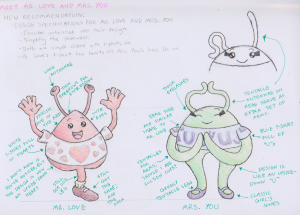 Mr. Love would no question look like a cartoon heart, and Mrs. You would look like a big U. It may seem very simple a premise, but it seemed ideal for a children’s picture book. 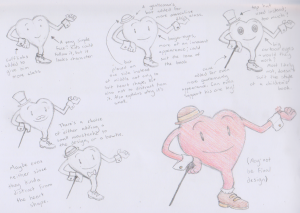 However, after showing the initial design of Mr. Love to Martin Small, he said it looked too “serious”. I couldn’t understand what he meant, but I knew enough that he wanted something different, which was a fair shake. 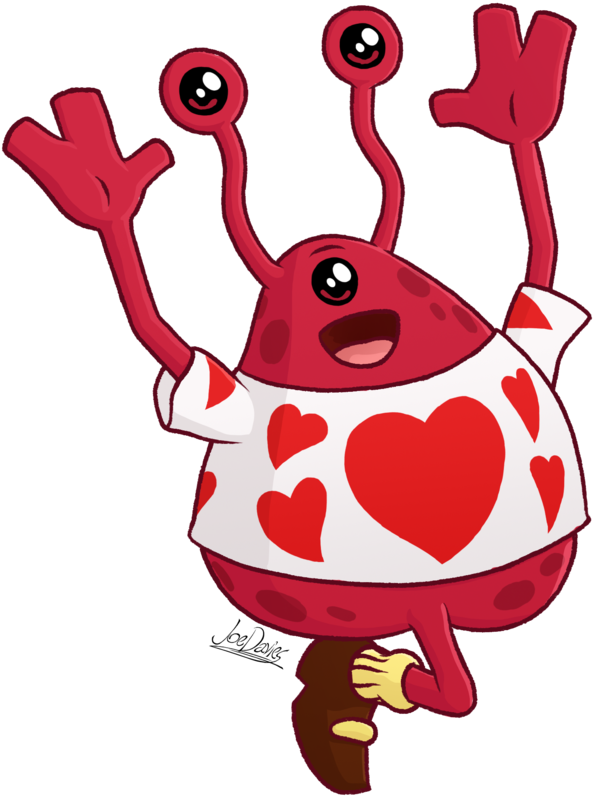 He then explained he simply wants them to look like regular aliens, but with T-shirts that had the designs of hearts and Us for each respective character. I would argue that that seemed a bit too simple, but I didn’t want to seem rude, so I happily obliged. I still was a fan of the heart and U thing for their body shapes though. So, I took a different approach. 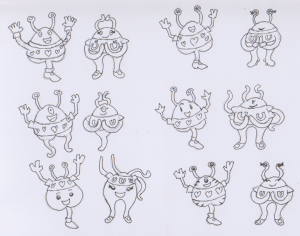 I made them simple aliens, with eye stalks and whatnot, but I chose to design their bodies backwards from my original intent. 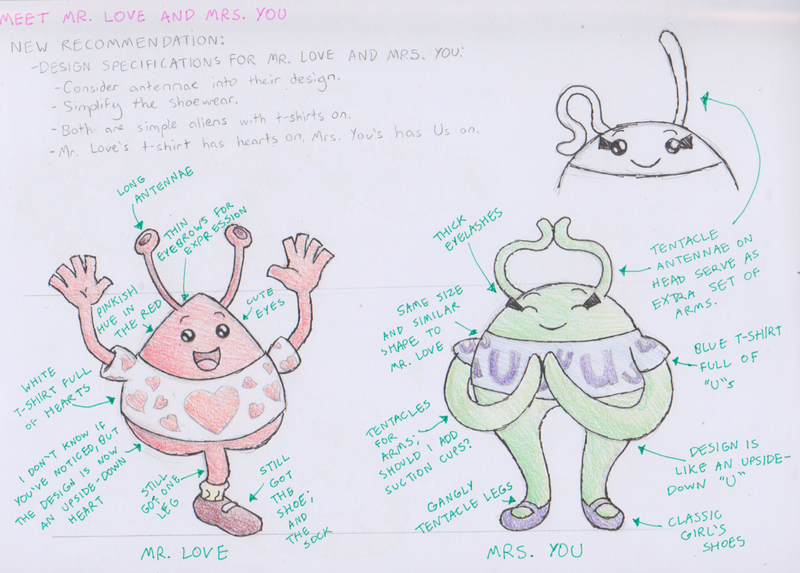 Now, Mr. Love is an upside-down heart, and Mrs. You is an upside-down U! Can you tell? I played around with a few variations for alien parts for each character. 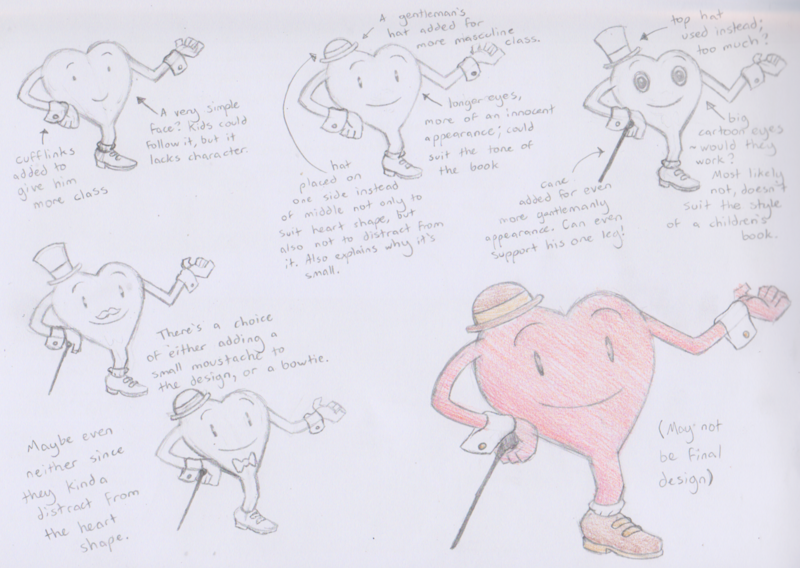 But both Martin and I were happy with the idea of giving Mr. Love one leg from the original design. Or at least, I was. but I also gave him eye stalks on top of his third eye, and hands that have two giant fingers and a thumb on each of them. The shirt design was pretty basic; add hearts to it. Simple as that. The design now may not have been what I had in mind back then, but after drawing them over and over again for a whole picture book, I grew to love these two simple designs. They’re simple, yet seem somehow memorable. In terms of personality, I wanted Mr. Love to be a cheerful bloke. In other words, he loves everything, from his wife to the world, to the sky. And there’s very few things he hates. Though his excitable spirit may seem a bit childish, Mr. Love does have his gentlemanly side, and tries to show good etiquette towards his wife. He’s a lovely fellow.